Searches OneSearch, which includes Georgetown and Consortium holdings, many of the Georgetown databases, and a variety of other resources. It includes books, journal and newspaper articles, encyclopedias, images and media, and primary sources. Searches GEORGE, the Georgetown University Library catalog, for books, ebooks, journals (not articles), and multimedia. Searches OneSearch for journal articles in Georgetown's collection and beyond. For discipline-specific and/or specialized resources, use the Databases tab above. Searches Journal Finder for the titles of print and electronic journals, magazines, and newspapers available through Georgetown University Library. 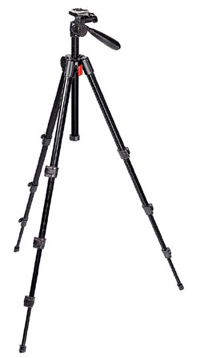 The Basic Tripod stabilizes the video camera and allows for panning and tilting. Three leg sections with snap locks make setup and breakdown easy.